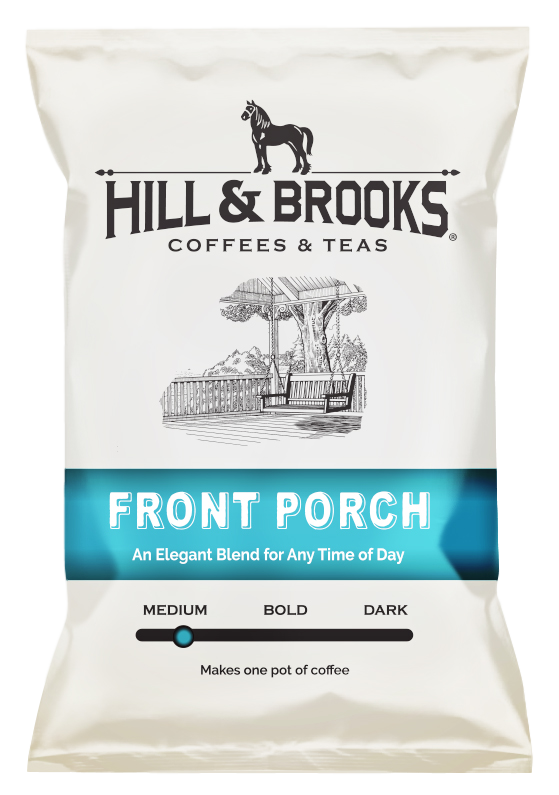 FRONT PORCH: In the South, the front porch has traditionally been the place where we congregate to socialize and enjoy each other’s company. This coﬀee will complement the mood of the day and eﬀortlessly stimulate your mind. 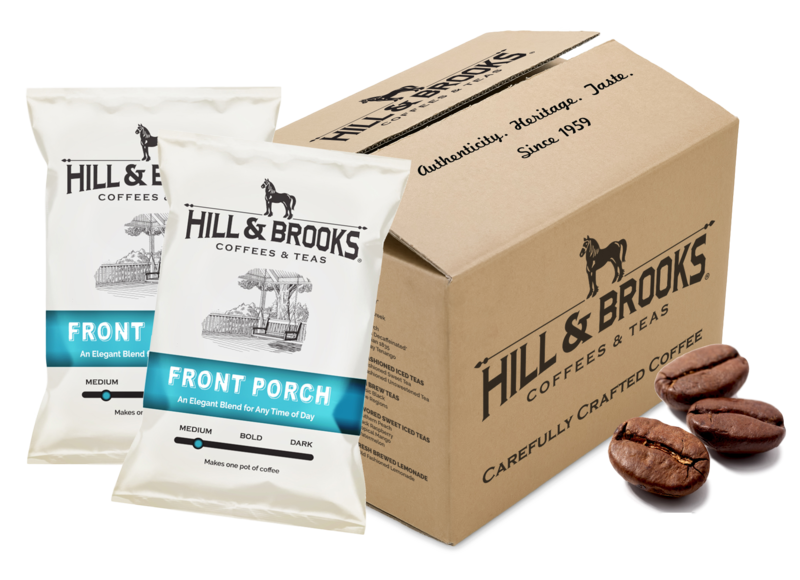 Cupping Notes: This blend has a mellow body with silky ﬂavors and a rounded palate. The smooth transparent ﬂavor is accentuated by a pleasantly ﬂoral bouquet and balanced acidity. This carefully crafted blend is sourced from the world’s most proliﬁc tropical coﬀee growing regions, Guatemala, Colombia, and Brazil. Individually known for their distinct ﬂavors in their coﬀees, the trio provides a beautiful round crafted taste which is simply exceptional. 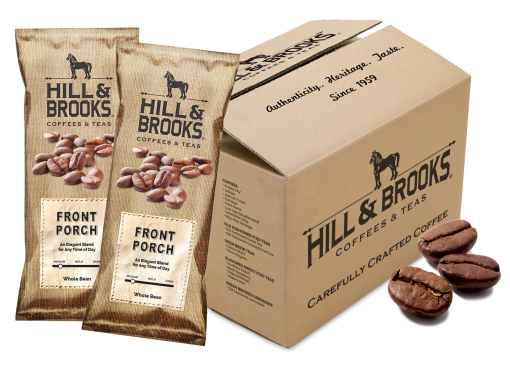 At Hill & Brooks we source only the highest quality Arabica & Robusta beans through our network of trusted growers.